Jumping into DSLR? Here's a list of gear that can you get started, and on the way to a million views on YouTube. Canon EOS 60D DSLR with Rode Videomic Pro: There's no ring around that entry level Canon lens. There's also no ring around my toilets. Welcome to the tenth article in our Road to a Million Views series. 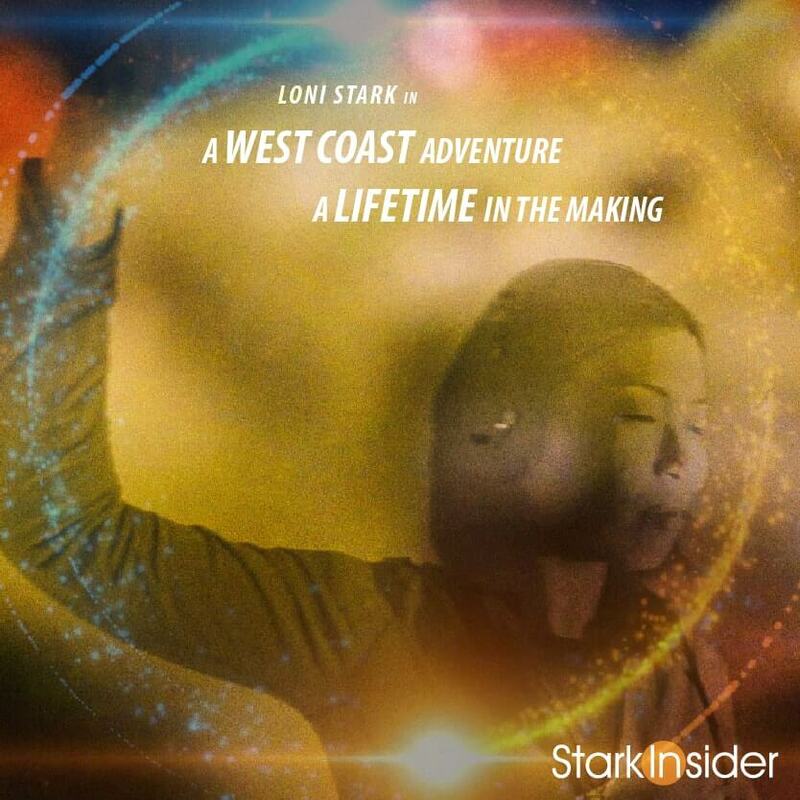 Stark Insider TV is closing in on 1 million YouTube views (we estimate it will happen this spring) and we’re celebrating by publishing a weekly piece on our experience — good and bad — with video on the web. 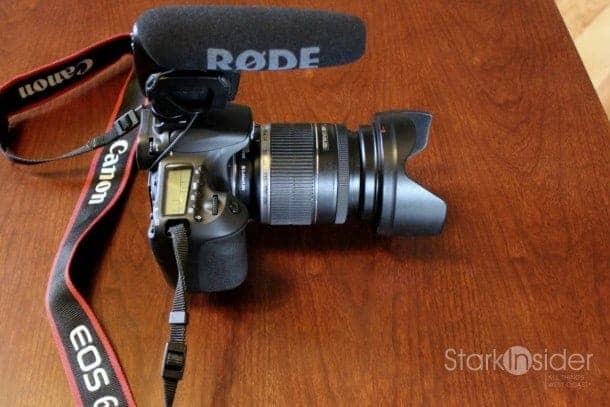 Canon EOS 60D DSLR with Rode Videomic Pro: There’s no ring around that entry level Canon lens. There’s also no ring around my toilets. 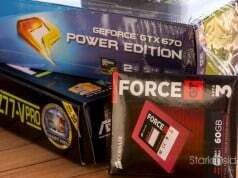 Last week I wrote about my “monster video editing computer build.” I use that desktop rig, running Windows 8, to edit and encode videos for Stark Insider TV, which are then published to Facebook, Vimeo and YouTube. But what about the other side, what gear do I use to capture and record video? I get asked that question a lot. And it’s often the first question I ask others who have an interest in publishing videos. Ultimately, it’s one of the least important factors. It would rank low on my list of things that are important when trying to build an online audience. Instead, story-telling, personality, compelling visuals would be better focal points for those getting started. That’s not to say the gear that you chose to film videos with is not important. It is. Especially, in my experience, the quality of the audio – there’s no quicker way to lose an audience than to publish videos with choppy, tinny, or otherwise incoherent audio. At the end of the day, if your subject matter is interesting enough, it probably doesn’t matter if you shoot video using an iPhone, a GoPro, a Canon 5D Mark III, a camcorder, or, as Spike Lee has been seen using recently, an iPad. I know some guys who prefer to immediately go out and buy the most impressive gear they can find. It’s tempting. Yes, I too want to shoot on RED at 4K. How cool would that be?! 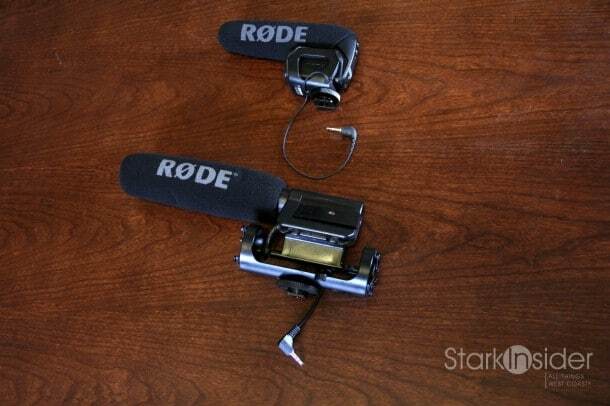 In the early days of video here on Stark Insider, circa 2008/2009, I used a Canon Vixia camcorder with a goofy little shotgun microphone covered with what looked like a rat – in spite of its looks it worked rather well. Later I added a mic system that had two wireless transmitters, with a receiver connected to the audio in port. 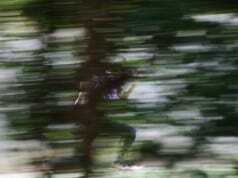 DSLR began to take off, and so I took the leap. In 2010 it was considered quite odd to show up to a media event with a DSLR camera. Most outlets were still using large, shoulder-based rigs. It wasn’t long before they looked decidedly old school and DSLR went mainstream in a big way. Commercials, music videos, documentaries, television shows, and even feature films — all have been successfully shot with DSLR cameras, mostly those made by Canon. I started off with a basic Rebel T2i. Great camera. I then upped my audio quality again – without breaking the bank – by investing in some Zoom field recorders. Next came the Canon EOS 60D. An even better camera for DSLR video. With its higher performance (better fps, higher ISO), combined with an articulating LCD, the 60D has become my go-to shooting partner for the last several years. Last year I added a Neweer LED light panel that I’ve been really pleased with – it allows me to easily add light to otherwise unusable shots, but not give up my run ‘n gun mobility. Canon EOS 60D DSLR camera – if someone was just getting started in DSLR video I recommend the T4i/T5i, those models will give you great functionality at a lower price. The new Rebel SL1 (100D) is also worth a look, and is noteworthy for its auto-focus which in the past has been the achilles heal of shooting with DSLR. Canon EF-S 18-200mm Telephoto Lens – I don’t change lenses often. 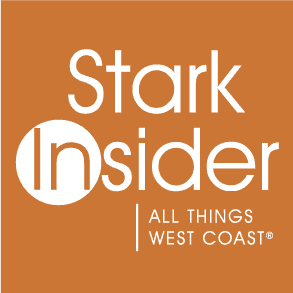 For Stark Insider we’re often capturing on-the-go footage from events. We seldom have time to frame shots. So I need a flexible lens that can capture a wide establishing shot one moment, and then zoom in for a close-up the next. Rode Videomic Pro Shotgun Microphone – I’ve written about this shotgun mic many times before (review). I love it. It’s not quite up to broadcast spec, then again at about $300 neither is its price tag. It’s on my camera 99.9% of the time. Hint: Buy one of these mics. 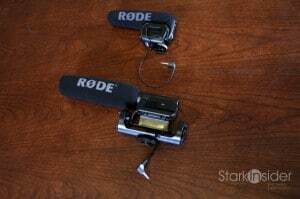 Rode Videomic Pro (top), and Rode Video (bottom). Zoom H1 Field Recorder – Zoom is the biz. Ask any musician, actor or filmmaker and chances are they own at least one piece of Zoom gear (likely the multi-channel H4n recorder). I use these H1s ($100) as “wireless lavaliers.” Each subject wears one with a lav. I then sync the dual audio later in post. It’s extra work, but the improved fidelity is worth the effort. Also, because they don’t run wireless, there’s no chance of that dreaded buzzing interference you get, especially from cell phones. Neweer 160 LED Light Panel – My most recent piece of gear. Now I can light up scenes easily without spending hours with stands, cords. It runs on batteries (or one Sony re-chargeable, which I use) for about 90 minutes and can blast any area with a wicked amount of light. Canon EF 50mm f/1.8 II Lens – When I really want to go for that film look, bokeh and all, I pop this nifty fifty on to my 60D. The results are often stunning. It’s pretty fast, and great in low light too. I like grain, 70s style so this does well for me when I’m trying to give basic video (at a foodie event for example) some drama that would otherwise not exist. Also, I have a bunch of spare batteries, a sling, various lens cleaners, basic Targus tripods (with fluid heads), memory cards, and backup mics, etc. In the end, if you’re just getting started in DSLR video I’d suggest starting small. Learn each piece of gear you buy first before buying the next. Having twenty boxes of new gear might re-awaken our inner child on Christmas morning, but it’s a surefire way to becoming overwhelmed. Plus, remember: story-telling, personality, presentation are the order of the day — all can be accomplished with a dash of creativity and perseverance. 3. What’s the ideal length for a YouTube video?